So the queen bought the Warhols, but how about the Lucian Freud? 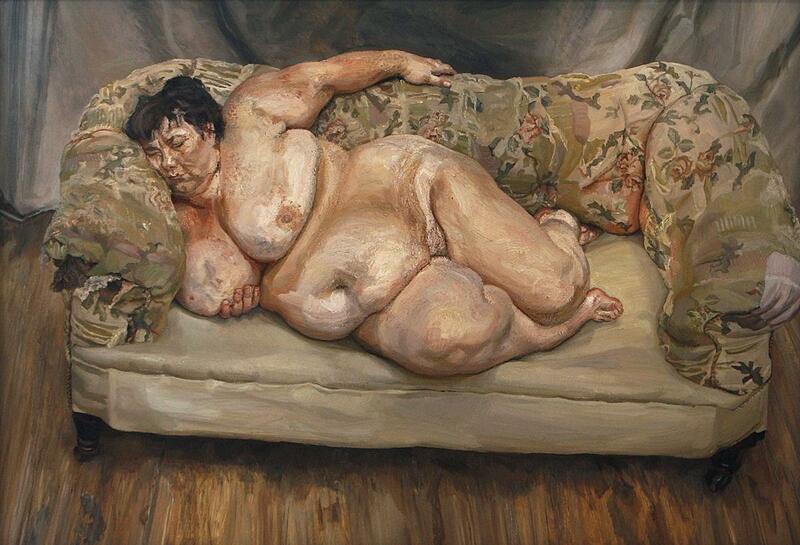 Just to give you some back story – Lucian Freud is the greatest figurative painter of our time. Passed away July 2011. Yes, he’s the grandson of Sigmund. Draw your own assumptions. As a rule, I don’t find much compassion for the rich and famous. But here I feel the ruthless sting of mortality. Fatal age is coming for her too, despite her sovereign-dom. Despite the pearls and diamonds. She is a commoner, sharing the same fate as I. It’s a deft touch is that Freud evokes this common cord while juxtaposed with the Diamond Diadem (Freud’s specific request). The hairdo really suffers. That would bump it out of Royal Collection for me. I’m sure she (and a stylist team) works very hard to get it that way. The crown jewels got lucky. They actually look valuable in a faded postcard sort of way. If your know his work, you will realize he was actually quite kind to her. Recoil at one of his greatest portraits, the Benefits Supervisor Sleeping. Sold in 2008 for $33M. Interested in seeing more? His only exhibition is in Texas at the Modern in Fort Worth until Oct. 28, 2012. Many Brits wanted to send him to the tower for painting such an unflattering, de-powdered monarch. But in the end, she did acquire it for the Royal Collection. Bully that!